Alabama's President attempts to drag the Greek system into the 21st century. Members are ready, alums not so much. 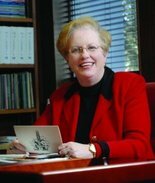 TUSCALOOSA, Alabama — University of Alabama President Judy Bonner took an unprecedented stance in a video sent out to the UA community this morning, stating outright that the college’s fraternities and sororities are segregated and discrimination will not be tolerated at UA. Bonner prefaced her remarks with the story of the Stand in the Schoolhouse Door, a time when the nation’s eyes were on the University five decades ago. At a closed doors meeting with chapter advisers Sunday, Bonner said she told the group UA will not tolerate discrimination of any kind.